Can you imagine traveling back in time to the city of Barcelona 120 years ago? You first need to disconnect for a while and think of a very different society in which production and consumption patterns and ways of thinking differ from ours. Go for a walk in the streets and pay attention to the billboards around you. What do they say? Who do they represent? Now, pick up your phone and look up the hashtag #BOOMpublicitat. You can really travel back in time! You will find all the ads posted by people who went on that trip when visiting the Barcelona Museum of Design latest exhibition: “The Advertising Boom: tin, cardboard and tile posters, 1890-1950”. More than 250 pieces are arranged in a room. The main purpose is to take us back in time to explore the moment when mass consumption brands made their way through the streets for the first time. Materials such as cardboard, tin, and tiles were part of the advertising support. That was a time when the advertising industry boomed in Barcelona. As a matter of fact, the Catalan graphic industry had the most modern companies and they produced diverse formats and printing techniques to attract the attention of pedestrians. At the time, artists were the only advertising designers. 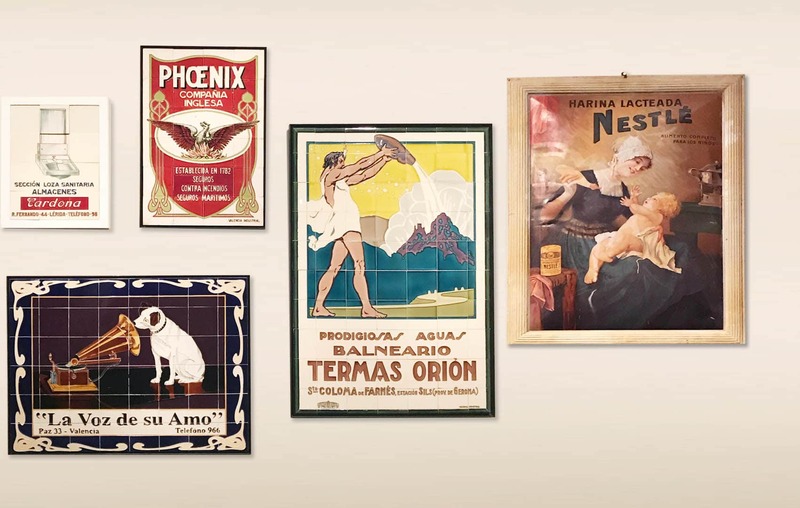 Between the end of the 19th century and the beginning of the 20th century, there were more than 100 lithographic workshops in Barcelona and many prestigious painters and illustrators were dedicated to poster design for brands such as Nestlé. The colorful pieces are art pieces. They are immortal. They are also historical documents, testimonies to how advertising has always been a reflection of society in a given place and time. We tend to forget that there is more to advertising than just selling products. Let me suggest a small exercise: could you try and identify the characteristics of your society by observing the ads around you on your way to work or back home? What if you compare them with the ads you could see ten years ago #10yearschallenge? Whatever your conclusions are, can you realize how mind-blowing advertising is?